…a person who has completed an apprenticeship but is not their own master. The word comes from the french journée meaning “day” because payment for a journeyman was on a day-to-day basis. For myself, the term connotes that I have been led along a path of experience, that I am not my own master, yet belong to no man other than Christ. It also reminds me to seize each day, and the experiences, blessings and grace of each new morning. I am a Christian, a follower of Jesus, who is King of the Universe, Saviour of broken people. I am a husband and a father. I am married to Gill and consequently my four children are beautiful, passionate and exciting. If there is any depth or insight here, it originates with her. Gill is the one with the prophetic discernment which blesses me and the church in the world. 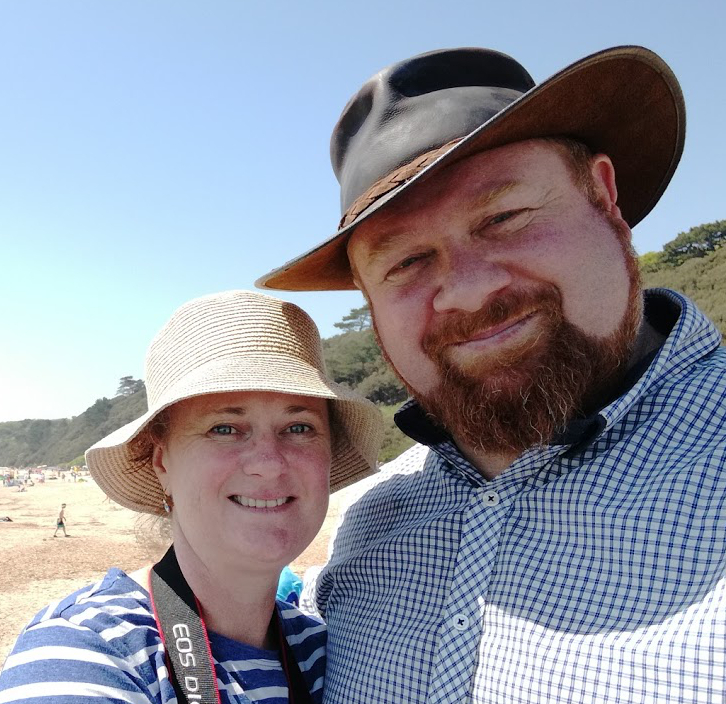 I currently minister in the English city of Sheffield, having recently moved from Newbury, Berkshire, after spending many years in the Anglican Church in Tasmania, Australia. After emigrating from England at the age of six, I grew up on a dairy farm in rural Northern Tasmania and then studied and worked in Computer Systems Engineering. Before theological study at Ridley College, Melbourne I spent a short time as a staff worker for Youth With A Mission. Together with my wife and family and a bunch of awesome people we were there at the beginning of the Connections community in the Anglican Parish of Burnie. I have been a domestic missionary, a curate, a village priest, a church planter, a cathedral cleric and general ecclesiastic. My aim is to explore and apply the gospel of Jesus in the real world, generously, prayerfully, joyfully, seriously. This is best done in, with, and among God’s people, towards our transformation in Christ, and for impacting the world in ways that matter eternally. Like the journeyman, the content of this blog is based on no claim of expertise or mastery. It is what all blogs are, a vehicle for thinking out loud. The content is unashamedly guided by myself – those things I find interesting, empassioning, or cathartic. These are public words, designed to be thoughtful and encouraging, and therefore also hopefully engaged, pushed-back at, and constructively challenged. This forum blesses me, and if it blesses others also, I am glad. This site is a record of developing opinion and thought. It is in that sense that this blog is a journey. There are some things that I have written that I no longer agree with, or which I would no longer express in that way. If this is particularly so I have added a disclaimer to these posts, but they are retained as I try to maintain old posts as an archive. And I do not like breaking other people’s links. All thoughts, words and opinions are my own, personal expression and do not pertain to my parish or church. Journeyman by Will Briggs is licensed under a Creative Commons Attribution-NonCommercial-ShareAlike 4.0 International License.